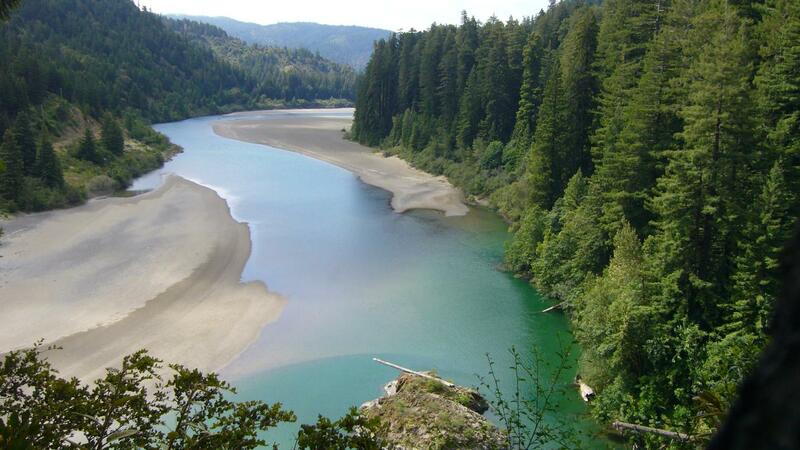 The largest of California’s redwood parks, Humboldt Redwoods State Park straddles the scenic Eel River and includes the 10,000-acre Rockefeller Forest, where several of the world’s ten tallest trees can be found. Easily accessed on the Avenue of the Giants, the park Visitor Center near Weott includes displays of nature, wildlife and local history. Humboldt Redwoods offers numerous campsites in various habitats, and many stunning redwood groves and hiking trails—some of the best trails are described at http://humboldtredwoods.org/hiking. Another don’t-miss attraction is Founders’ Grove, dedicated to the Save-the-Redwoods League.